Citizens Memorial Hospital (CMH) will offer free Safe Sitter classes for children in grades 6 – 8 this summer. Classes will be offered May 30, June 20 and July 11. Class times are usually 9 a.m. to 3 p.m. and students choose one date to attend. CMH is a partner with Safe Sitter, a national non-profit organization that provides programs to teach youth life and safety skills for when they are home alone, watching younger siblings, or babysitting. Classes are taught by Safe Sitter certified instructors Wren Hall, CMH director of community relations, and Missy Volcko, RN, CMH Birth Place. 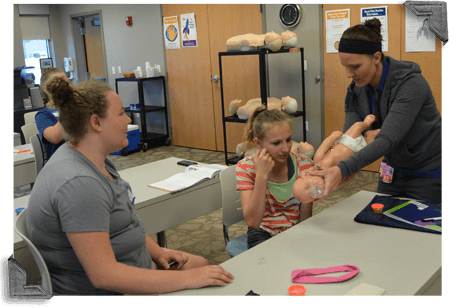 First Aid, choking rescue and CPR instruction that follows guidelines from the American Academy of Pediatrics and the American Heart Association. Skills to handle medical, behavioral and household emergencies. Developmentally appropriate curriculum and content. Class sizes are limited and reservations are required. For more information contact Hall at 417-328-6318 or register online at http://conta.cc/2nqilc3.